We meet in a building that was built in 1999 and has full facilities and large car park. We’re not far from the Post Office, near the heart of Spixworth village. You will receive a warm welcome from the congregation. Regular Midweek activities: Our Coffee Stop, which takes place on the second Tuesday of each month from 10am to 12noon, offers a warm welcome to all, to drop in for a coffee and a chat. Donations for the coffee are given to local charities, chosen by the supporters. For local folk living alone and in need of a ready-made local luncheon, there is our ‘Spixworth Dining Club’. Having started on the third Monday each month, it has proved to be very popular with local folk and now offers sessions on the first Monday of the month as well, extending this valued ministry of care to local people. We have established a ministry of praying for our neighbours, systematically, street by street, each month – and count it a privilege to uphold people by name in each Sunday service. Occasional Quiet Days have been a treat for those attending. 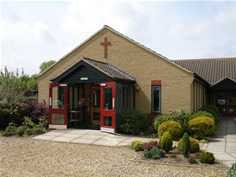 Our premises are also used on a regular basis by various community groups. These include the Community Choir, Spixworth Rainbows, a children’s dance class, a line dancing class, two fitness groups and a Youth Group. Occasional users include the local youth football club and District Guiders. As part of Spixworth Churches Together we hold joint Lent and Advent courses which has resulted in a Bible Study Group meeting monthly. We have occasional pulpit ‘swaps’ with other churches.